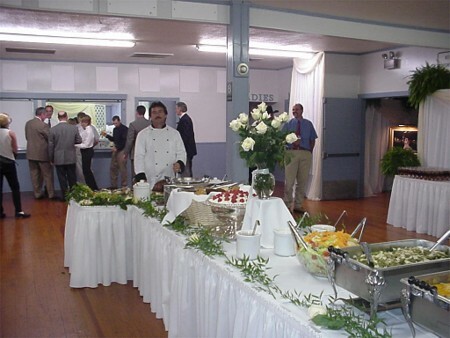 I have heard from numerous guests that this event was the "Wedding of the decade" in Central Texas. Rudy Mikeska's was honored to be a part of this wonderful event. 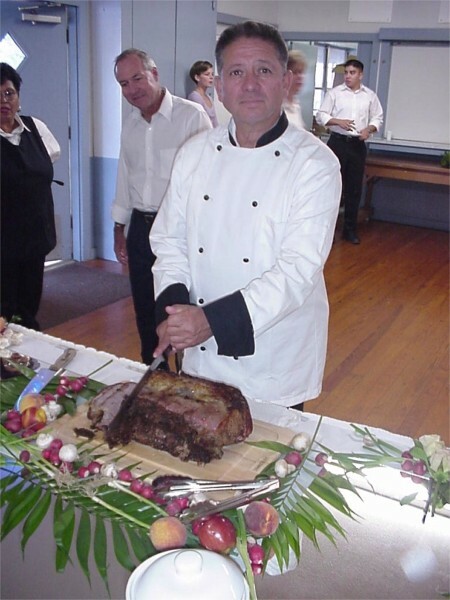 Here is Peter Chapa carving the Prime Rib. Stella Ruiz and Carl Streid are shown directly behind Peter. 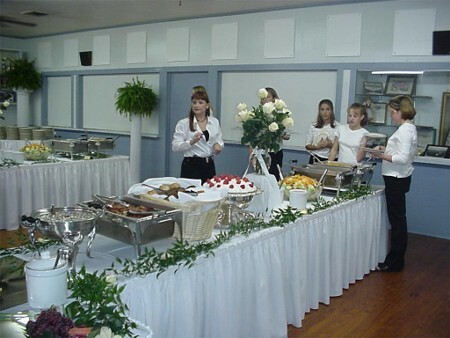 The Food Buffet and Table Appointments. 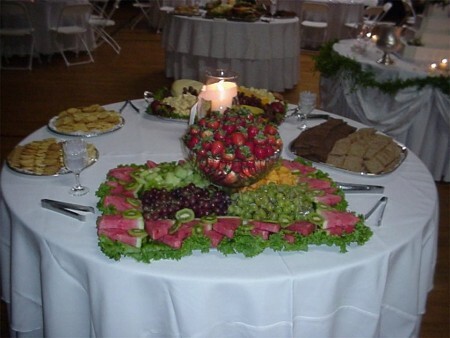 One of two separate appetizer tables. The brides Aunt and Uncle...Cheryl and Steven Scruggs, (who own City Produce in Austin), provided the wonderful fruit and vegetables for this event. 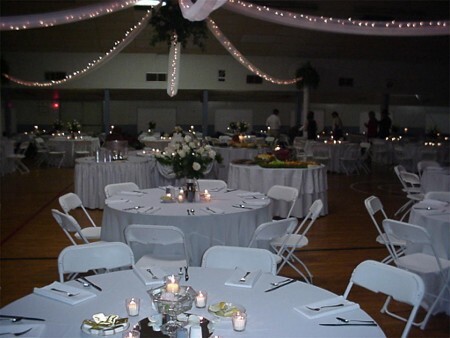 The guest tables, appointments and hall decor. Pete Zimmerhanzel (father of the bride) chose some of the best Prime Rib I have ever seen. 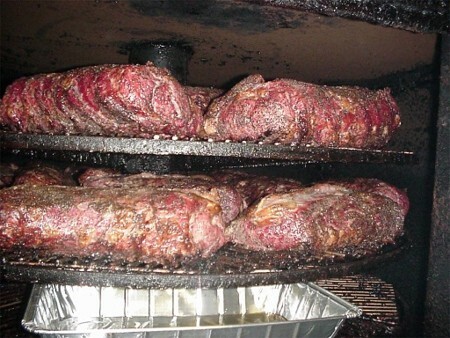 Here the Prime Rib is smoking in our Roto-Flex Smokers. 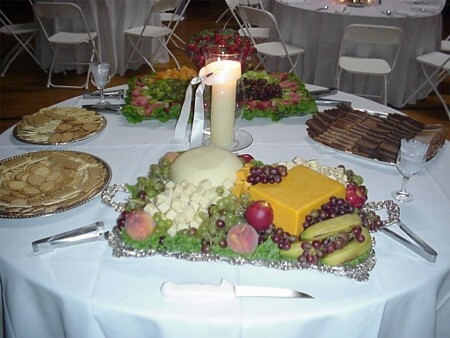 The Rudy Mikeska Family would like to thank our dear friends...Jamie and Pete Zimmerhanzel for letting us serve their family on this special occasion. We pray that their daughter Heidi and her new husband will have endless years of love and happiness. Archive Highlights:10-3-2000......Sunbelt Rentals Catfish Buffet, Tim Mikeska....appointed to the Board of Health.